Excitement is in the air as the art-filled, performance packed, full of fun summer of 2013 in Santa Fe New Mexico begins. Santa Fe has long been known as an art and cultural destination. This historic city is home to a colorful journey of Native American art, international folk art and contemporary art suitable for all tastes. Those visiting in search of amazing Santa Fe art can wander through the halls of the New Mexico Museum of Art, the Georgia O’Keefe Museum and the Museum of contemporary Native Arts, or you can simply stroll through the more than 250 galleries found along Canyon Road, downtown Lincoln Avenue, and the Railyard District. There is no better time than summer for art enthusiasts to visit the vibrant city of Santa Fe, so don’t miss your chance to experience this one of a kind city. 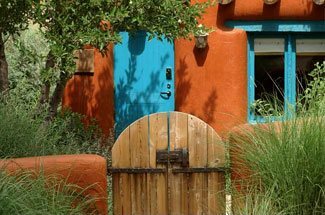 Book your stay at the Four Kachinas Inn now, and see for yourself why Santa Fe has been consistently ranked as one of the top art cities in the world. July 10 through 15 is the debut of an entirely new art event that promises to be one of the biggest, most colorful, and most diverse in the country. Santa Fe Art Trifecta is a collaboration among three highly successful organizations, the Museum of International Folk Art, ART Santa Fe, and SITE Santa Fe. 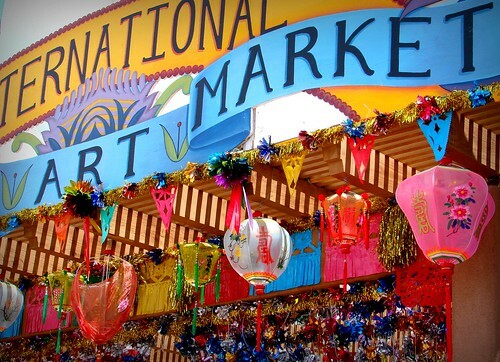 Sponsored by the Museum of International Folk Art, the International Folk Art Market is the largest market of its kind in the world. The Folk Art Market brings wonderful artisans from around the globe to show and sell their handmade masterworks, celebrating evolving traditional art and cultures in an effort to preserve cultural diversity. Every July, more than 150 select folkrtists from over 54 countries travel to historic Santa Fe to sell their distinct folk art forms that express the world’s diverse cultures. In 2013, ART Santa Fe will celebrate its thirteenth annual fair, offering a Santa Fe art experience that includes a high-class mix of excellent contemporary galleries from all over the globe. Visitors to this world-renowned art fair get the chance to speak with dealers and artists while experiencing a full range of the art community. In addition to this, there are many events planned in conjunction with ART Santa Fe 2013, including the gala opening night Vernissage and a prominent keynote speaker from the contemporary art world. The final contributor to the Santa Fe Art Trifecta is SITE Santa Fe, known for its edgy, provocative exhibitions of contemporary art. All three amazing art venues will collaborate on events and a special ticket for the Santa Fe Art Trifecta, making mid-July the biggest and most diverse art weekend of the year. The Santa Fe Art Trifecta isn’t the only exciting thing happening in Santa Fe during the early summer months. If you’re in the Santa Fe Area towards the end of June or early July, be on the lookout for some celebrity sightings! Prior to its opening in Theaters on July 3rd, many celebrities and entertainment industry members will be in the area to preview Johnny Depp’s new movie, The Lone Ranger. 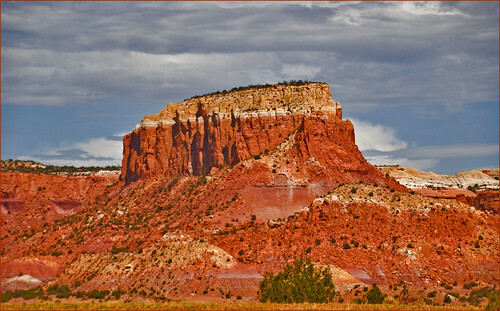 The Lone Ranger, a contemporary re-imagining of the story about the masked man and his Native American buddy, Tonto, was primarily filmed in northern New Mexico. No matter your reason to visit Santa Fe, the rich Santa Fe Art scene throughout the city is not to be missed. 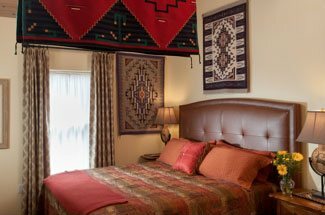 At Four Kachinas Inn, we look forward to providing you a luxury home base for your Santa Fe explorations.